Pinhas’s creation, the Love Turntable, is the update you’ve been waiting for. It’s a record player with all the modern bells and whistles you could ever want. 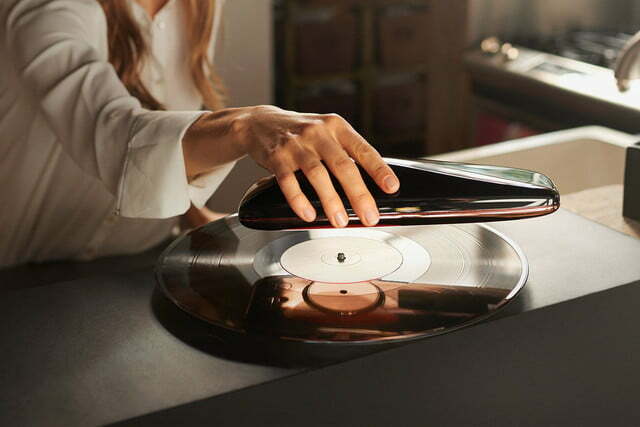 Using its linear tracking sensor, Love can scan any record to determine its size and number of tracks, and with nothing more than a tap, users can turn the turntable on and off, or skip to the next track. Plus, the device actually spins on top of the record (which remains still), while employing a traditional cartridge and stylus to pay homage to the tactile experience and classic sound that true vinyl enthusiasts know and love. Juicers are a marvel of modern kitchen technology. Despite being small enough to fit on your kitchen countertop, many of them are capable of exerting thousands of pounds of force, which helps them squeeze the liquids out of just about anything — oranges, carrots, or even kale and wheatgrass. Not only that, but juicing fruits and vegetables is incredibly healthy. The only downside is that the machine are a nightmare to clean. Most juicers work by first pulverizing whatever you stick inside them, and then compressing the pulp to extract juice. 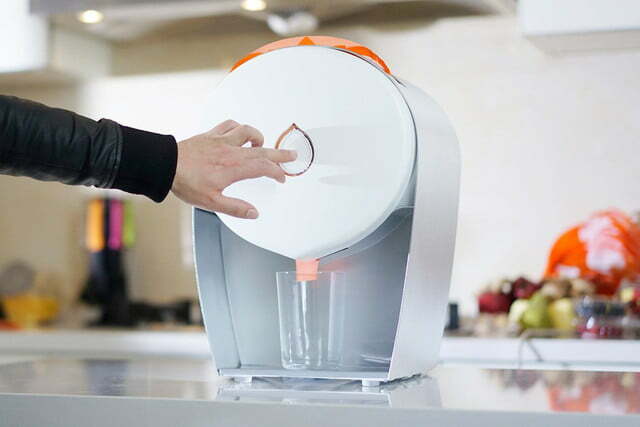 This is definitely the most effective way to extract liquids — but it also causes a mess. To circumvent this problem, the folks behind the Juisir developed a new system. Instead of pulverizing the veggies before they’re squeezed, Juisir skips that step and exerts more force — eight tons to be exact. This extracts a large amount of juice, but keeps all the pulp contained in a little bag, so cleanup is a breeze. There’s nothing quite like paddling around and exploring a new area by kayak — but unfortunately, they’re not exactly the most convenient vessel to carry around. They’re large, unwieldy, and too cumbersome to carry over great distances, so taking one along on your next outdoor excursion isn’t always an option. But what if there was a kayak you could easily pack around? That’s precisely the idea behind the Justin Case Kayak. 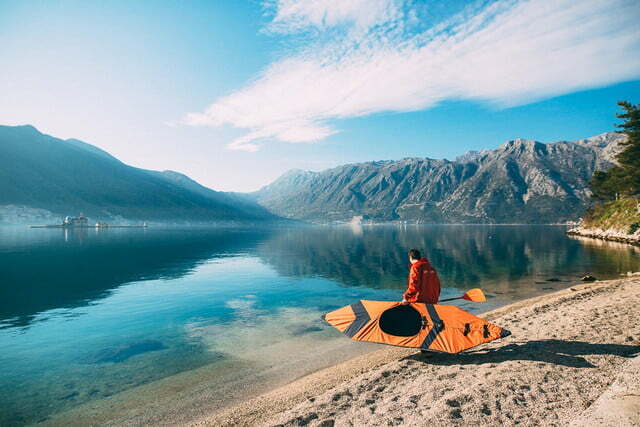 At less than six pounds, it’s the lightest portable kayak available, and it packs down to the size of a lawn chair. Thanks to its carbon fiber frame and ripstop skin, the kayak can support up to 250 pounds — even though it tips the scales at just 5.7 pounds. Full assembly takes about ten minutes to become 9.7 feet long and 26 inches wide with a depth of 9 inches. if you drink a lot of craft beer, growlers are the way to go. These reusable, refillable jugs not only allow you to cut down on the number of bottles you stuff in the recycling bin each week, but also allow you to buy in bulk and cut down the price a little bit. The only problem? They take up a good bit of room in your fridge — especially if you like variety and need to keep three or four of them cold at any given time. The solution? Well, if scaling back your consumption levels (not likely) or committing to a kegerator are out of the question, the Growler Chill might be a good option. 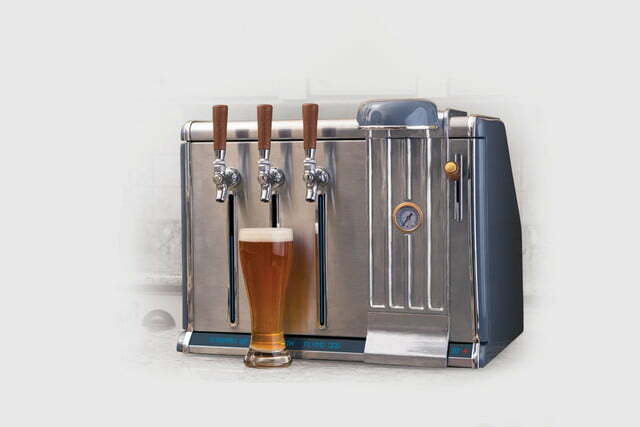 It’s basically a countertop kegerator designed to work with the growlers you already own. It can hold and chill up to three of them at a time, and also provides easier access to the brew they hold. Thanks to a cleverly designed tap system, you’ll never have to lift and pour a jug ever again — just yank on the handle and watch as gravity fills your glass with bubbly, delicious beer. 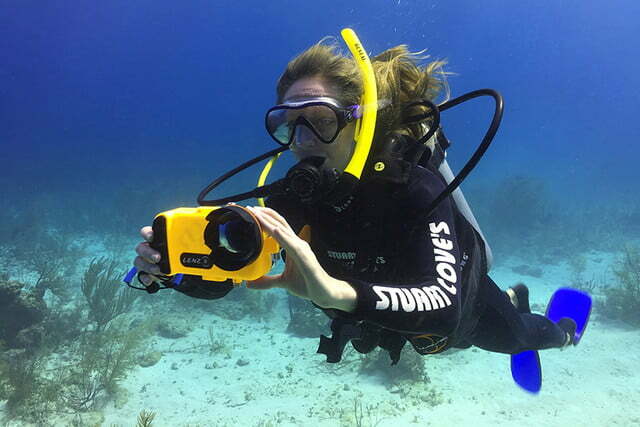 Sure, the iPhone 7 can withstand a little splashing, but you probably shouldn’t take it out on your next scuba diving trip — unless of course you’ve got yourself a LenzO case. This badboy is designed to protect your iPhone 7 –and give you full control over its functions– at depths as low as 300 feet. It’s more than just a waterproof case. Up front, LenzO is equipped with a big, beautiful underwater lens that helps ensure your photos aren’t distorted. On top of that, the case also includes a clever actuator system that gives you full control over your iPhone’s touchscreen. Need to tap and refocus on a different part of the shot? Just use the actuator to tap that spot on the screen. Need to adjust the settings or apply a filter? You’re only a tap away. The interface and controls are designed to be ultra simple, so you can spend more time enjoying yourself and less time fiddling with your camera.